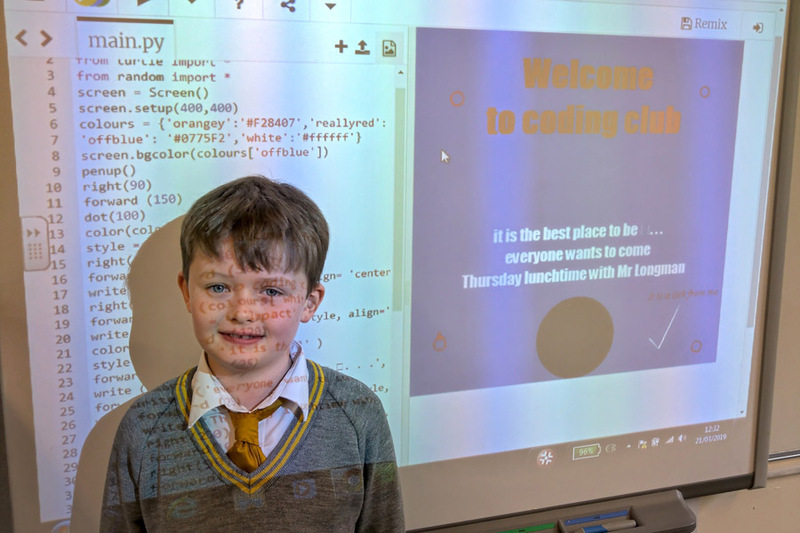 The coders in our lunchtime coding coding club for our Gifted and Talented children in this area are getting to grips with the Python coding language. Mr Longman particularly enjoyed the poster coded by Thomas! Good work there guys!! Press run in the box below to see the poster being drawn. 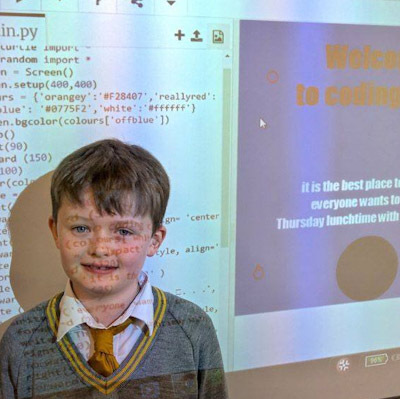 Thomas in front of his code.